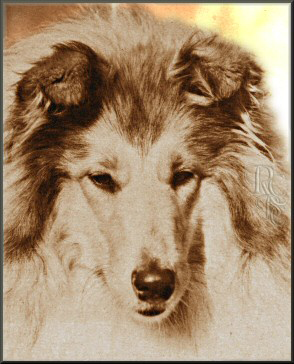 Founded in 1892 when Ireland had a thriving canine involvement, early records of the Irish Collie Club are sketchy. It is believed the society accepted Kennel Club authority from the outset, although registration has seen at least two short periods when this was not so. By 1900 we are informed that popular Irish circuit judge, Mr W. D. Gilchrist of Leinster Street, Dublin, was the secretary. Originally the Irish Collie Club catered for Collie fanciers throughout Ireland, but after partition during the early 1920s, which coincided with one of the periods of de-registration, the Irish Collie Club, whose then secretary, Mr A Dalzell ‘Knocke’ was based in Belfast, elected to remain under Kennel Club control, leaving fanciers based south of the border to establish their own society. As there is no record in early Kennel Club Stud Books of the Irish Collie Club organising independent shows, it is possible that they confined their activities to guaranteeing classes at the many shows then scheduled in Ireland. 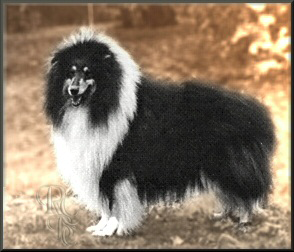 Championship status under the current rules, first introduced in 1893, did not arrive until 1988 when well known Collie specialist judge Mr Jimmy Tait, ‘Aberthorne’, attracted an entry of 104 Collies, the second highest entry of Collies at any post-war Northern Irish show, handing the first set of tickets to Sylcroft Sorcerer and Westoak Gypsy. In an effort to recapture the entries of the late 1980s and early 1990s the Irish Collie Club moved its Championship Show from their traditional early August date, to the same weekend as Belfast Dog Show, the only other Northern Irish general Championship Show held under Kennel Club Rules, in 2008, thereby allowing visitors from the mainland, in addition to local enthusiasts and those from Eire, two opportunities at gaining Kennel Club Challenge Certificates within as many days. An increase in entries at both shows encouraging a continuation of this arrangement for future years. Mr Jimmy Tait ‘Aberthorne’ judged both sexes. Promoting the Collies’ positive attributes. Encouraging improved standards of welfare to all Collies. FEBRUARY - Winter Open Show — currently held at the Redburn Community Centre, Holywood, County Down, Northern Ireland. BT18 9EZ. Annual General Meeting — currently held at Holywood Football Social Club, 84 High Street, Holywood, Co Down, N Ireland. SEPTEMBER - Championship Show for Rough Collies — currently held at the Balmoral Park, Halftown Road, Maze, Long Kesh, Lisburn, BT27 5RE — to be held the same weekend as Belfast Dog Show Society’s Championship Show giving exhibitors that travel long distances a chance to compete for two Challenge Certificates during the same weekend. The Irish Collie Club is managed by three officers assisted by a Committee of six. Annually the Irish Collie Club’s committee elect two delegates to the Rough Collie Breed Council, these are usually the Secretary and Chairman, which are currently: Hon Secretary - Mr G Francis and Chairman Mr L Kelly.